On a high level, the central goal of the CREDENTIAL project is to develop a privacy-preserving data sharing platform (wallet) with an integrated identity provider (IdP), which can be used to share authenticated data without the wallet learning any of the user’s personal information. CREDENTIAL is an innovation action scheduled for 3 years (36 month) in the domain of security and privacy for cloud computing. This report titled “D1.5 Year 2 Management and Progress Report” gives an overview on the project’s progress and achievements between April 2017 and December 2017, i.e., in the period M19 – M27 of the project, as the previous periods of M01 – M09 and M01 – M18 have already been covered by D1.4 and the Technical Report compiled at the end of the first reporting period. On a high level, the central goal of the CREDENTIAL project is to develop a privacy-preserving data sharing platform, where even data mediating services - in particular identity providers (IdP) for managing users’ identifying and demographic data - are unable to learn about any of the user’s personal information. During its development, the CREDENTIAL project had to face important issues related to privacy-preserving data, identity provision, authentication data, and their contextualization within a cloud environment. Studying the most successful technologies in the field helped the team in taking the sound decisions. We present the following three main contributions in this deliverable (and give short abstracts of further scientific results within CREDENTIAL already published or going to be published). Homomorphic Proxy Re-Authenticators and Applications to Verifiable Multi-User Data Aggregation. This report documents the second iteration implementation of CREDENTIAL Wallet components. These components provide the core functionalities that enable the integration of the pilot applications and subsequently the piloting phases. The implementation follows the functional design detailed in D5.1. 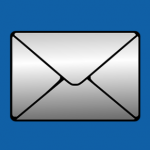 The CREDENTIAL project requires several fundamental cryptographic primitives, algorithms and protocols. Those components are developed and documented within the scope of this deliverable. As the resulting library is used within platform dependent software on client side as well as on server side it was decided to split the library into three basic components, the Java Library for Cryptographic Primitives, the Android Crypto Library with Key Management Implementation and the PRE/RS File Format Library resulting in a modular and ecient framework. First, the development environment provides the infrastructure used to enable an efficient development process. 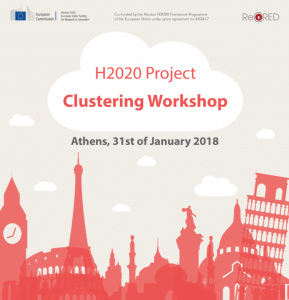 The H2020 Project Clustering workshop was aiming at establishing tight connections with more than 20 relative H2020 projects in the fields of e-privacy and cybersecurity and on various topics such as access control, trust e-services, cybersecurity in IoT and cybersecurity in social media.